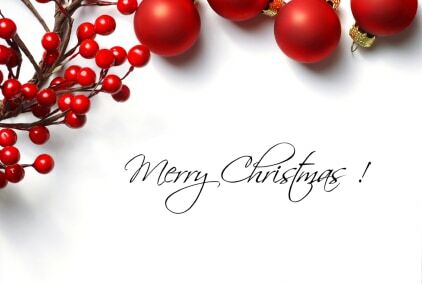 Whether it’s Christmas to you, or just a seasonal holiday, I’d like to wish you the very best for you and your family – and thank you for being a loyal reader. We are coming towards the end of the first decade of the 21st Century and we are ending with financial difficulties the world could not have imagined just ten years ago. So, as you sit around the fireplace, supping mulled wine and munching mince pies you may reflect on the past year and look ahead to the coming decade with a little trepidation. But whatever you actually do this Christmas it pays to look forward to a bright future, rather than mither about past misfortunes; you can’t change history, but with the right mental attitude you can shape your future and thus change the history that is yet to come. Whether you get socks this Christmas, or the Caribbean island of your dreams have a good, relaxing time. As you spend time with the ones you love this holiday season, I hope you enjoy yourself and come back to work ready for action with a bright positive outlook for the next decade. Happy Christmas.